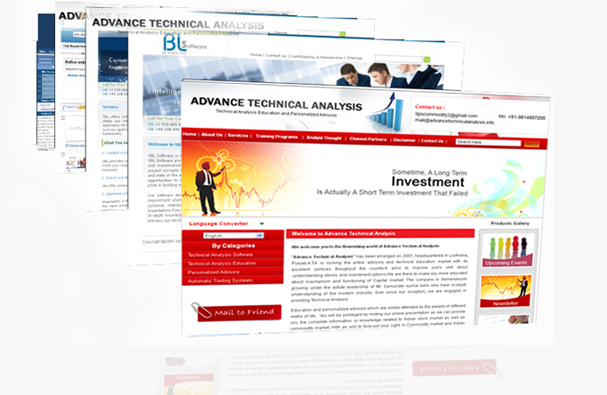 Piwania is the leading Corporate Website Design provider based in Delhi. In this fiercely competitive world the significance of promotion is indeed a necessity. We offer all your custom website design and development needs at competitive rates. Our web design company is praised for offering custom design solutions. Our vast portfolio and experience in designing the best custom web solutions give us an edge over the competition. Contact our web design company today for a free consultation and our web design specialists will show you the difference a professional Corporate Website Design Company can make for your business on the World Wide Web. Piwania Technologies provides your corporate website comprehensive study it requires, after analyzing the current business paradigm, behavior & role of the existing online setup and ensemble the business requirements with expectations on to the new website. Corporate website design requires a professional outlook with flexible usability to interact impeccably with identified target audience. Our corporate design specialists' commitment to designing world class website and programming all applications to custom fit our clients makes us a leader in the custom website design solutions market. Our corporate website design enables you to add corporate new tools and features on your website. You are free to change or alter the design to make it easier in shape your corporate identity. We can change bits and parts of your website as per your requirements. We can add the logo design or even can revamp your entire website. Our specialized website designers have expertise in every area of internet and website based technologies, including full online solutions that will integrate with your off-line business. We provide a broad spectrum of innovative, contemporary and traditional concept designs. Our corporate website design reflects your vision, your business services and products while making a mark on the web.